The Huba self-sufficient compact mountain shelter, designed by Malgorzata Blachnicka and Michal Holcer, won the Best Use of Aluminum category. It was chosen for its good design, functional use of sustainable materials and its potential use in other housing contexts (such as disaster recovery). 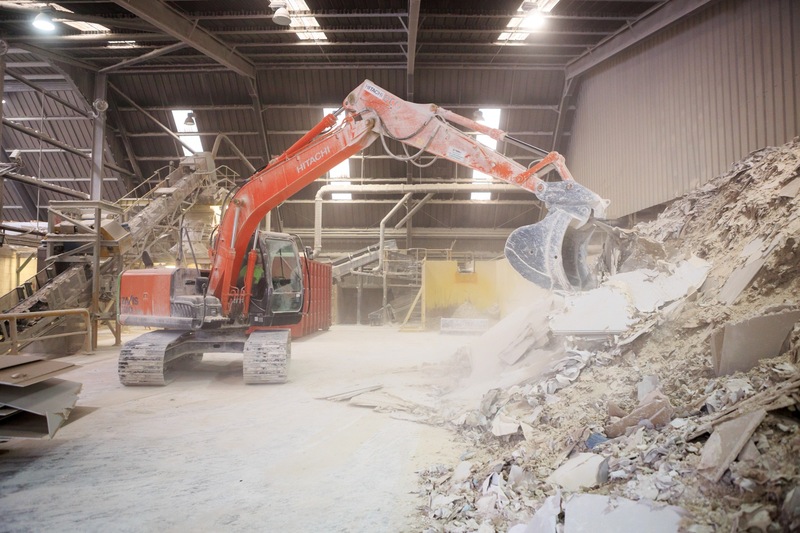 Led by Eurogypsum, the Gypsum to Gypsum (GtoG) Project has identified the plasterboard demolition waste market as the major obstacle to creating a circular economy for the gypsum industry. Most buildings are demolished rather than dismantled in the majority of European member states, resulting in unsegregated waste going to landfill with no opportunity to recover recyclable materials such as plasterboard waste. The GtoG Project’s ultimate objectives include establishing a European Handbook of best practices for controlled deconstruction of gypsum systems, a European specification for recycled gypsum, and a recycling target for gypsum waste.